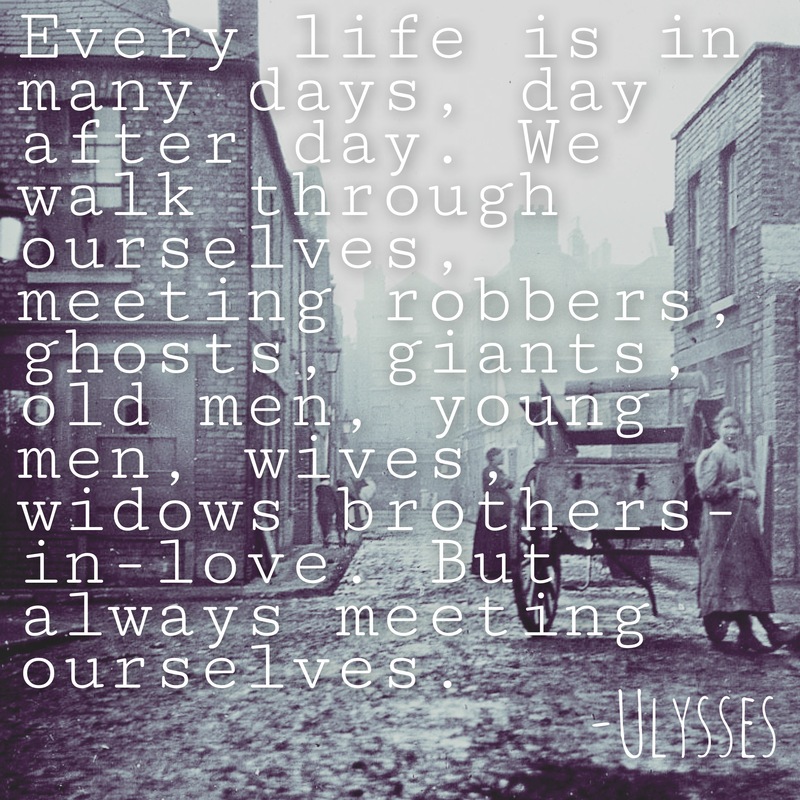 The eNotes Blog: Happy Bloomsday! How Will You Celebrate? Happy Bloomsday! How Will You Celebrate? Love it or hate it, Bloomsday is the annual day of celebration for James Joyce’s polarizing novel Ulysses. It takes place on June 16th each year, to mark the first day of the protagonist Leopold Bloom’s journey across Dublin. To mark the occasion some Joyce fans follow the tradition of reading the novel in Edwardian garb—though Marilyn Monroe did it back in 1955 in decidedly modern attire… her bathing suit. Nowadays it would be nice to think that swelling readership of Ulysses drives the Bloomsday boom, but it’s more likely that Bloomsday provides an opportunity for cultural validation that’s about as substantial as sharing an author quote on Instagram. Reading Ulysses is a slow, immersive, and ultimately private experience; Bloomsday is a social-media-ready event, where like-minded people convene to celebrate their own taste. Which reminds me… which Instagram filter should I use for my Ulysses selfie? Just kidding. Like I’d own that thing. Check out #bloomsday on the Twitterverse here for lots of cool news about the impact Ulysses has had around the world, including how one Iraqi poet translated the 1922 text into Arabic (you can watch that video here). Want to know what the fuss is all about? Check out eNotes’ study guide, Homework Help, quizzes and trivia for Ulysses here. How will you celebrate Bloomsday? Share it with us @enotes on Twitter and @enotescom on Instagram. Could This Be the Worst Book Cover of All Time?